Let us bring back the memories of family photo's and display it on our deluxe 10'ft video screen. Just give us any pictures you like and we will create a beautiful video montage with music for you to keep. 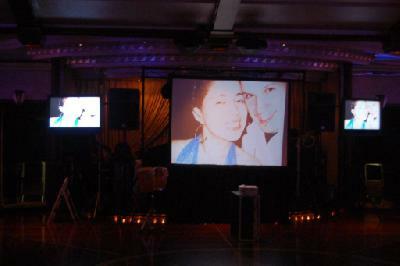 We can also capture and record your dance floor and display it on the video screen.